Maintaining our streets, trails, and bridges makes them safer for everyone, and if you’re on a bike you especially appreciate the little things that make your ride smoother, like pothole repair. Here’s how to report an issue, raise a concern, or share an idea for a new bike lane. Your involvement helps us keep making Atlanta better - by bike. To get a street or bike lane swept clean of debris or gravel in the City of Atlanta, contact Atlanta’s 311 (ATL311) system (see below for more detailed instructions). You can call 311 or go online: Create Street Sweeping Request. To get bike lanes repainted in the City of Atlanta, call 311 or go online to Create a Pavement Markings Request. To get a bike box repainted, call 311 or Create a Colored Pavement Markings Request. To get a pothole fixed, call 311 or Create a Pothole Repair Request. 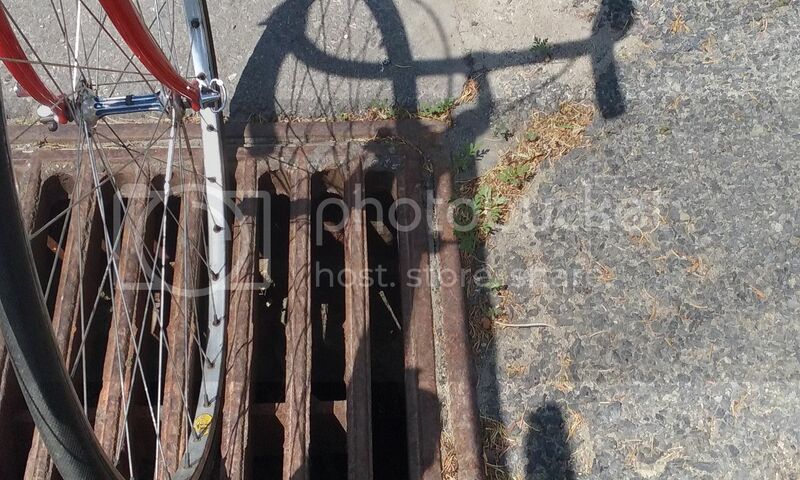 To report a parallel grate (bars facing in the same direction as your wheel, which can catch your wheel and knock you down) a.k.a. water drainage catch basin, call 311. Make sure to communicate why this is dangerous so they can address it quickly. To report a damaged or missing manhole lid, call Customer Service at 404-546-0311, 24 hours a day, 7 days a week. Examples of damage to catch basins include the appearances of it being sunken or raised, or having missing or broken components. A first responder will be at the location to investigate the problem within 4-24 hours. To report a loose, missing, or damaged street plate, contact Customer Service at 404-546-0311, 24 hours a day, 7 days a week. To request speed monitoring (a radar sign) on your street to help remind drivers how fast they’re going on a neighborhood street, contact the OOT at 404-330-6501. To get parking enforcement to visit a bike lane blocked by an illegally parked or stopped vehicle, call Park Atlanta (have the address or location details ready): (404) 750-2263. Please visit our Unblock the Lane page here Atlanta Bicycle Coalition collect valuable data to improve bike lane policies in the city. To request a bike lane, it’s a more involved process because transportation planning takes place in the context of other modes (kinds) of transportation and transit, and requires budgets and plans to include the concept. Call 311 - Have the location / address before you call. Inform operator of the issue you want to report. Record the number so you can follow up if needed. Go online - see links to specific issues above, or visit www.atl311.com. After submitting a request, please email us at info@atlantabike.org to let us know the request was placed so we can follow up if it doesn’t get addressed in a reasonable amount of time.